The CBI today questioned Uttarakhand Chief Minister Harish Rawat about a sting operation in which he is purportedly seen trying to influence some dissident Congress lawmakers. The agency had called Rawat to appear today as during his questioning on 24 May, he is understood to have not answered certain queries to the satisfaction of the probe team, sources claimed. However, Rawat had rubbished the claims, saying he had fully cooperated with the agency. The CBI had registered a Preliminary Enquiry (PE) on 29 April to probe the "sting operation" purportedly showing Rawat offering bribes to rebel Congress lawmakers to support him during a floor test in the Uttarakhand Assembly. 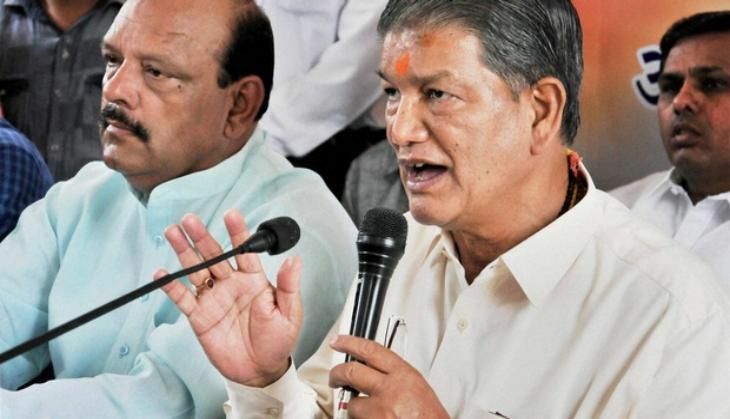 After Rawat's victory in the floor test, the state cabinet met on 15 May and withdrew the notification recommending a CBI probe into a sting operation involving him but his plea to stop the central agency's probe was rejected by the Uttarakhand High Court. It was registered on the reference received from the state government (during President's Rule) and subsequent notification from BJP-led central government. The PE is the first step during which the agency verifies the facts in the complaint received by it. During a PE, the agency can only "request" a person "to join the probe" and cannot summon him, carry out searches or make any arrests. If a verification of facts shows the need of further probe, it may register an FIR or else close the PE. The CBI had also rejected the state government's notification withdrawing the nod for probing the case which was given during President's Rule. Is this the most honest taxi driver in India?